« It’s time to change dentists. Last year was the 100th birthday of Alan Turing—the brilliant, gay, scientist who helped break the Enigma machine, and then (probably) committed suicide in 1954. During the Centenary Celebration, I became aware of Bletchley Park, a museum at the wartime site of British code breaking. I filed away this knowledge for a future trip to the UK – which came about last week. So I found myself boarding a train from Euston for Bletchley last Friday morning – a fiftyish minute train ride from the heart of London, followed by a five minute walk to the grounds. 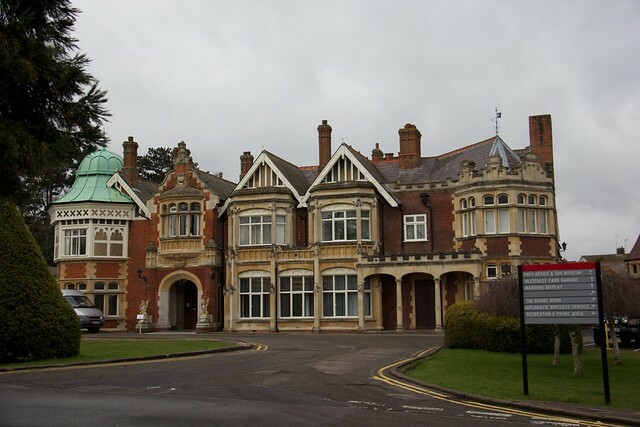 Bletchley Park has two museums on its grounds, the biggest is Bletchley Park; the other is the National Museum of Computing. 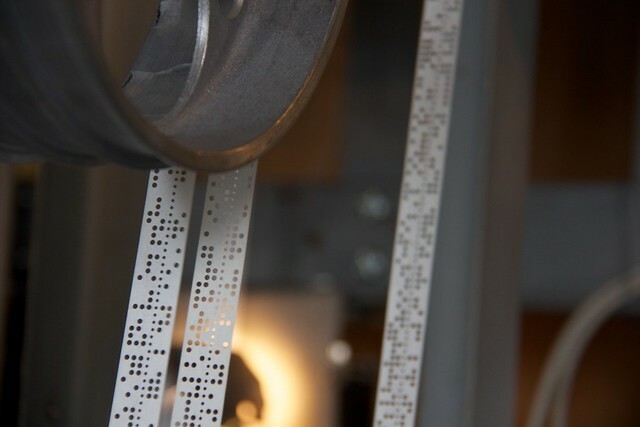 Bletchley Park is devoted to the history of the code-breakers and the people who worked on the campus. What I found interesting is how the government seemed to inherently understand that code breaking, as a science, needed a place where its practitioners were in a collegial, campus-esque, environment. That said, during my guided tour I learned that people were not allowed to talk about their work at the facility, not even for years after the war. The guide related the story of a husband and wife who both worked at Bletchley Park, but didn’t meet and marry until a few years after the war. Neither knew that both had worked at Bletchley Park until both received invitations to a reunion. The grounds were pretty and the mansion nice, but the huts where much of the work went on, a bit, uh… functional. There were a number of educational and interesting displays – but were I to return to Bletchley Park again, I would probably choose to go on a weekend day, when more of the facilities are open to the public, including, for example, the hut that houses examples of diplomatic encryption equipment. I really wanted to see the display. At the adjacent, administratively separate, National Museum of Computing, is an example of the Colossus computer, the first programmable computer. This was really cool—I got lucky as a group ahead of me had been shown the computer in action, so I got to see it working (even if I didn’t understand the output). Below are some cool Lytro photos of Colossus; feel free to click around. Way to go, Adamo! I would love to visit this as well! And while we’re on the subject of Alan Turing, be sure to read “Turing’s Cathedral” by George Dyson, a recent book about the instantiation of Turing’s insights into the computability of numbers at the Institute of Advanced Study in Princeton. wow! !….I like the Lytro focusing effects. Pictures have finally started to become interactive! You should post about your first lytro experience..